The Optimum Modular OPT-5000 is both functional and stylish for every environment. It is ideal for corner unit in households with small children and pets. 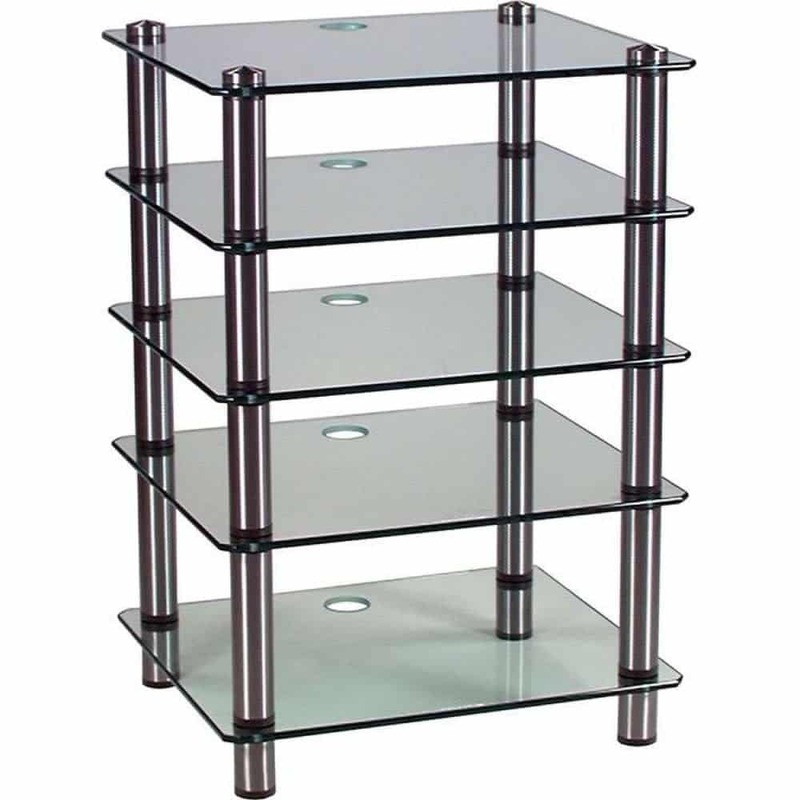 It has a contemporary style and features five clear / smoked glass shelves storage that fit between four sturdy legs. The shelves are made of toughened safety glass that are 520mm in depth. Its depth provides adequate room for the deepest of entertainment component, display consoles audio video stereo equipment. 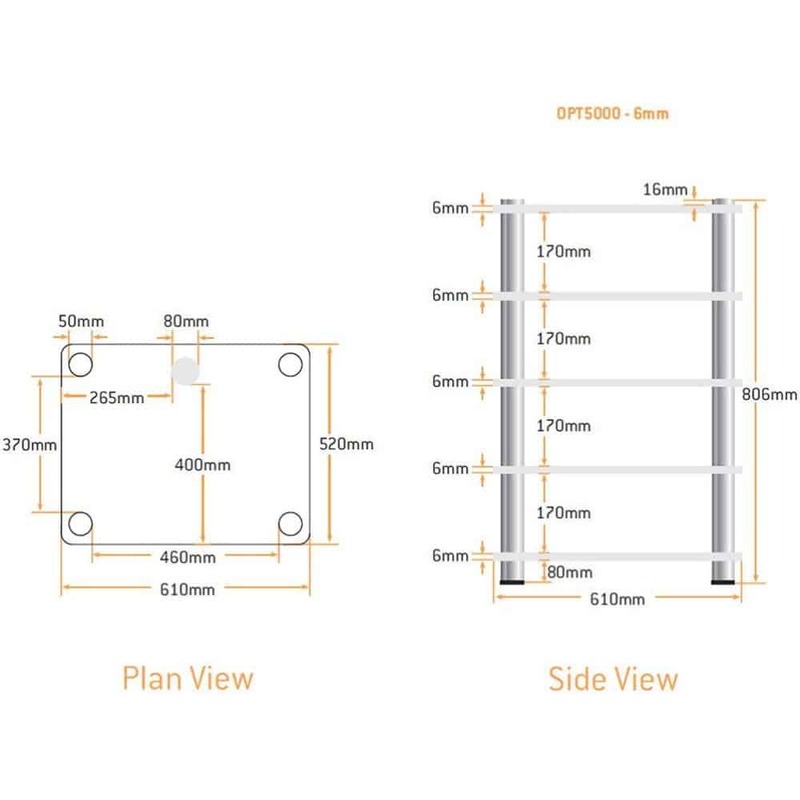 The shelves of the Optimum Modular OPT5000 can be varied and if you would like some customization, you just type your requirements during the checkout process in the “Add Comments About Your Order” box. 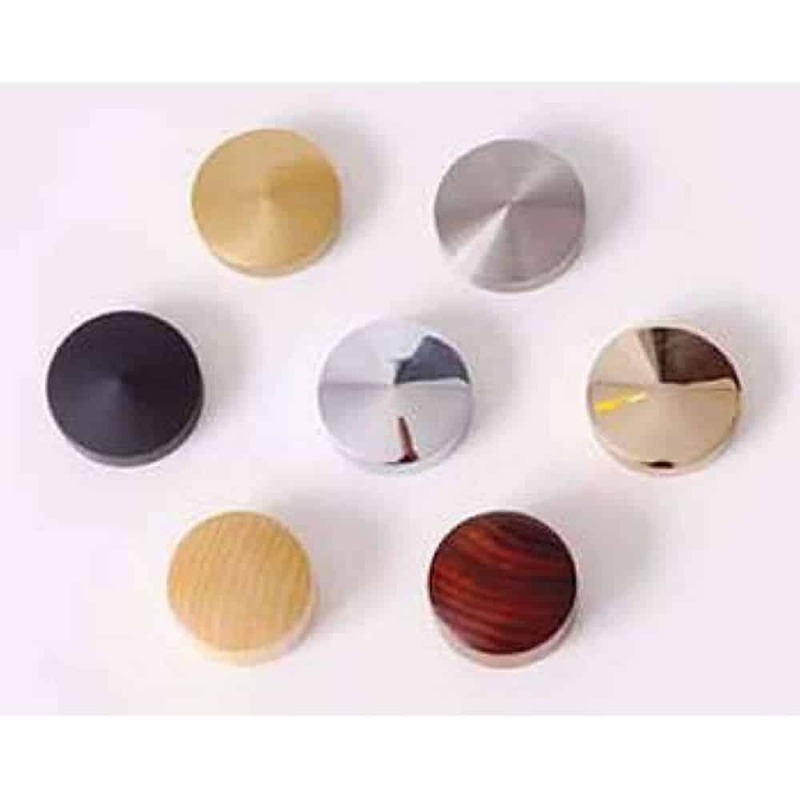 Available spacings are 80mm, 120mm, 150mm, 170mm, 200mm, 230mm, 250mm, 320mm, 400mm, 500mm and 600mm. 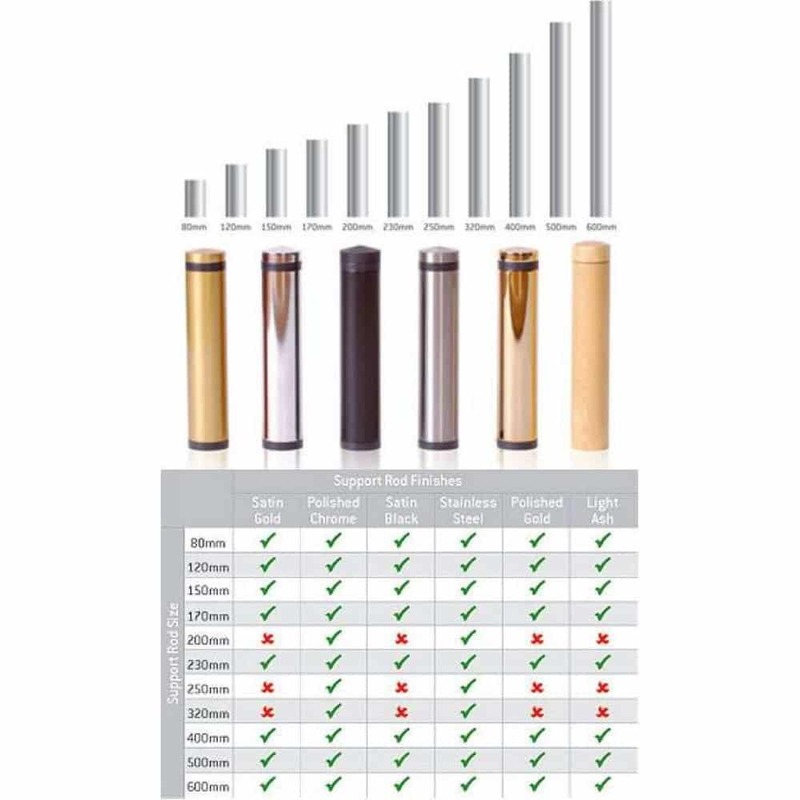 When selecting a finish for the rods, please use the table in the product images to see which finishes are available, as they are not available for every rod. The unit’s legs are complemented by matching heavyweight top caps to provide a finished look for the stand. Optional floor studs will keep the unit sturdy. The cable management system will keep your cables secure in one central place, giving the OPT 5000 an orderly appearance. It measures 610mm x 790mm x 520mm (w x h x d), making it ideal for almost any room. This product is built like a tank. Really strong and sturdy. Well worth the money. Bought in stainless steel finish and went for the smoked glass – looks amazing! 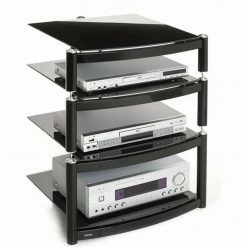 I bought this for my hi-fi separates (Denon, Teac etc.) and a record deck. I wanted it t look classy as my stuff cost a fair amount; not the most expensive but pretty good stuff! Anyway, it looks the business and matches my other bits very well. robust, stylish and very well packaged. Deliver advice, up to speed and at the time stipulated. 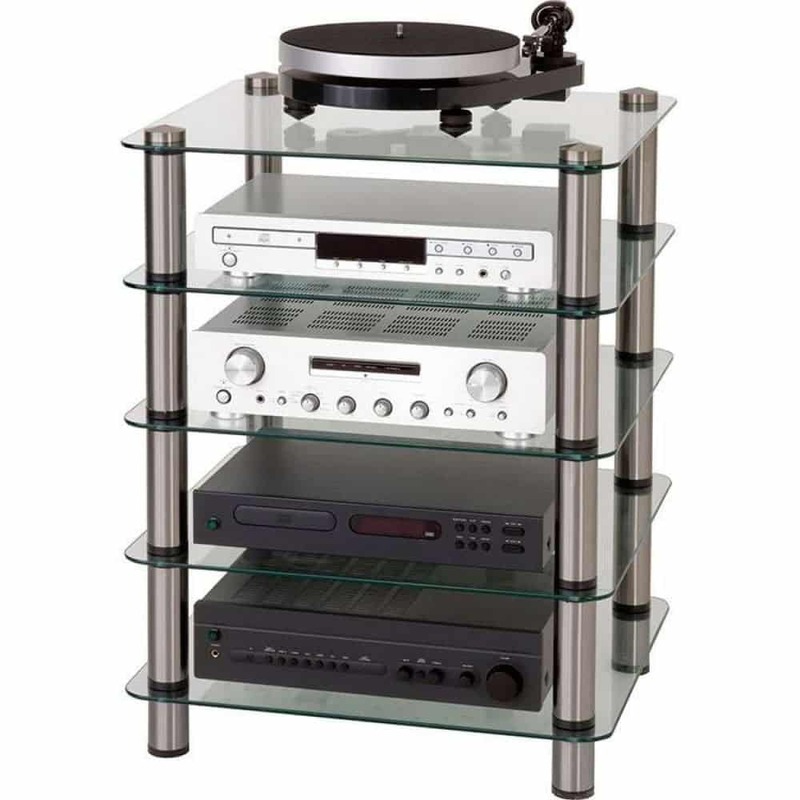 Purchased Optimum OPT-5000 Prelude Glass Hi-Fi Stand 5 Shelves. Very pleased with product as was able to have shelf heights as personally specified. Have retro systems from the 1990s which were of various heights. Chrome finish looks great. Sturdy glass shelves. Only minor niggle was one of the hole outlets on the glass shelves has a small chip but you cannot see it. It does not hide the wires at the back but I knew this when I brought it. It still looks good against the wall so the wires are mainly out of view. Very pleased overall and service and delivery quick and reliable. Good communications. Arrived after a bit of a wait and I needed a new sheet of glass. That was dealt with immediately but annoyed that the original was scratched.